to their existing New York locations, with Saks continuing its Fifth Avenue refresh through 2019. Bergdorf Goodman, too, opened its renovated main floor to the public on September 6, marking the latest step in a five-year overhaul. But it’s the coming of Neiman Marcus and Nordstrom — slated to open their first New York locations in 2018 and 2019, respectively — that will truly kick off a multi-sided battle for Manhattan. The Dallas-based Neiman Marcus will be joining the West Side’s $20-billion-plus development Hudson Yards, where it will occupy more than 240,000 square feet of the 750,000 square feet of retail space plotted. Seattle’s Nordstrom is heading to Midtown, where it will operate two locations: A $102.5 million, 285,000-square-foot store at 225 West 57th Street, as well as a 43,000-square-foot space located at 3 Columbus Circle. Of course, all these new stores need shoppers. 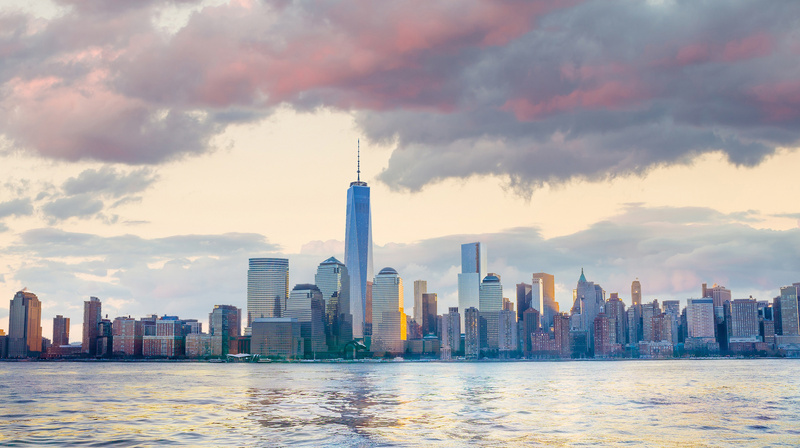 Is the New York opportunity big enough for the Big Five? And who — if anyone — will emerge victorious? Tourism, foot traffic and local demand for luxury goods all contribute to the city’s status as a retail mecca. Households in the New York metropolitan area spend an average of $2,338 on apparel and services each year, significantly more than the national average of $1,673, according to the Bureau of Labor Statistics. (Their incomes are also higher, averaging $82,749 per household compared to $65,339 nationally.) What’s more, 56.5 million people (12 percent from abroad) visited New York City in 2014, contributing $41 billion to the local economy. Exposure to that many people offers unique marketing opportunity. There is also a strong argument for having two significant locations here, as both high-net-worth residents and tourists inch further away from the Upper East Side and Fifth Avenue towards a resurgent downtown. “Barneys doesn’t belong everywhere. It belongs in urban, sophisticated markets,” Barneys New York chief executive Mark Lee told BoF in February, on the eve of the store’s Chelsea opening. Out of the three New York City zip codes that appear on real-estate listings site Property Shark’s 2016 ranking of the most expensive zip codes in the country, two are in Tribeca and one is in Battery Park City, the same neighborhood as Brookfield Place and, now, Saks. The median selling price for a home in Battery Park City’s 10282 zip code is $2.3 million. Tribeca’s 10007 clocks in at $2.8 million; nearby 10013 ranks highest in the city at $3.4 million. But while Manhattan remains immune to many of the problems plaguing traditional mall locations, there are other market headwinds that luxury retail players can’t easily escape. “We don’t travel to stores, we travel on the Internet,” says fashion retail consultant Julie Gilhart. Visiting department stores was once the most convenient way to shop, allowing consumers to buy everything they needed under one roof. Today, nothing is more convenient than e-commerce, which enables consumers to instantly compare prices, place orders and have items speedily delivered to their homes from a wide range of sites, offering a large selection of inventory that challenges the power of the traditional department store bundle. Weiss bought the $465 pair of jeans from a Spanish boutique that’s part of Farfetch’s network of partners. Because it was her first purchase from the site, she received a 10 percent discount and free shipping. “Saks did me a huge favour by not being able to accommodate me, and Farfetch just found a new customer,” she says.